Getting some big companies under their belts is the ultimate objective of most B2B lead generation companies. Big accounts promise bigger rewards and present bigger challenges for B2B lead generation companies. They have bigger budgets, more complex and rewarding business needs and offer endless opportunities to establish and continue long-lasting business relationships. 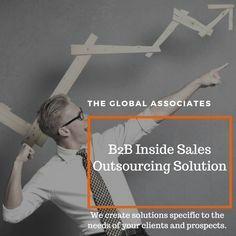 The biggest concern of any big corporate while hiring the services of any new vendor is whether their organization is there to stay or just a fly by the night sort of company. They dread making new contracts with new companies every other day as it wastes a lot of valuable time and interrupts their workflow. Show the strength and determination of your organization to be around for a very long time and they will not hesitate in hiring you. You must build credibility by showing your real worth. Show that you are capable of delivering whatever is needed by the big corporates. You have to give them confidence that you have the capacity to handle the magnitude of work they offer. Giving references of your previous clients and type of work is always helpful in convincing them about your capabilities. The best policy for B2B lead generation companies is not to wait to get full or big contracts with big corporates but to start small. Doing your homework and identifying a specific problem for which you can offer an effective solution is the right approach. Once you get a foot in, you can always talk to the decision makers about getting bigger deals. B2B lead generation companies need to devise special strategies to catch big fish in their net. They need to be sensitive to the specific nature and specific needs of the big corporate and show their intent and capability to win their confidence.